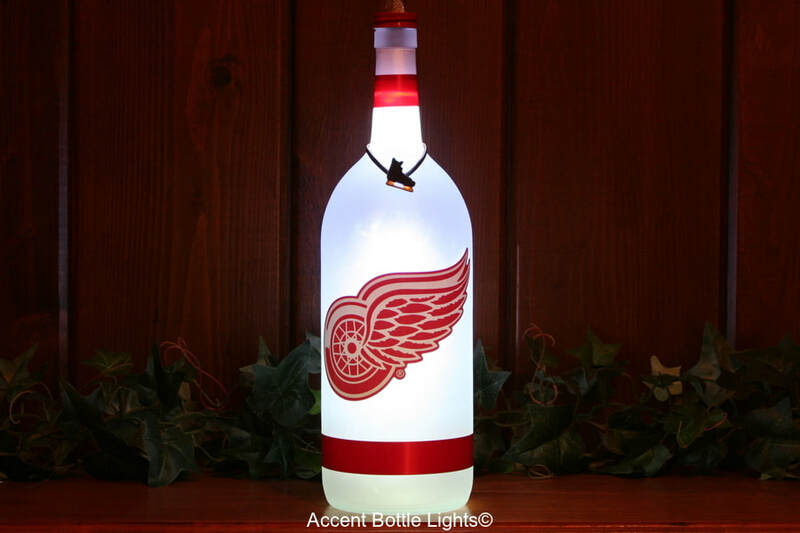 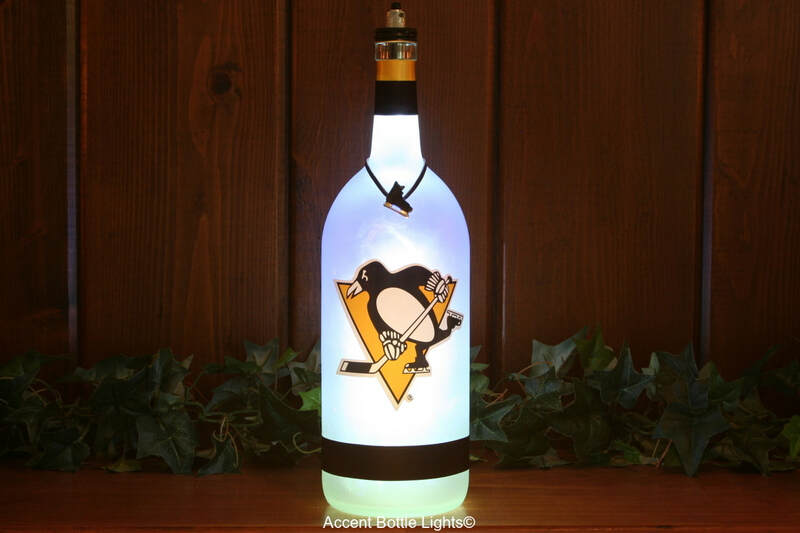 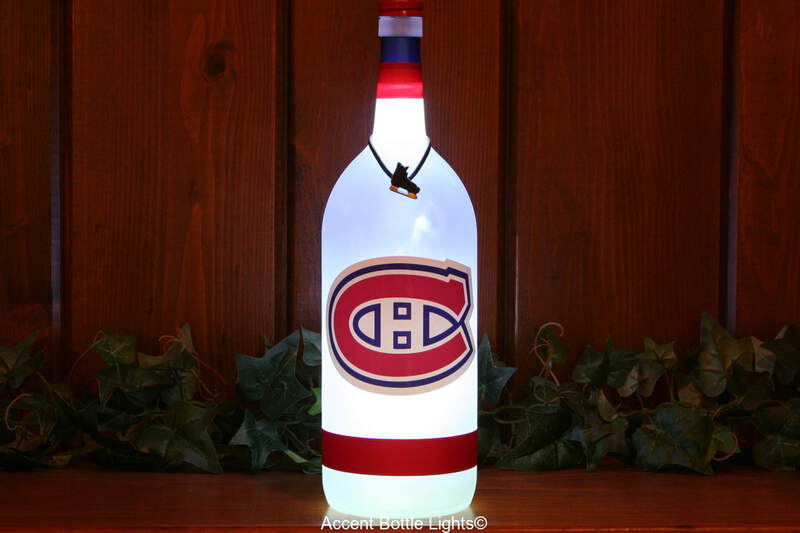 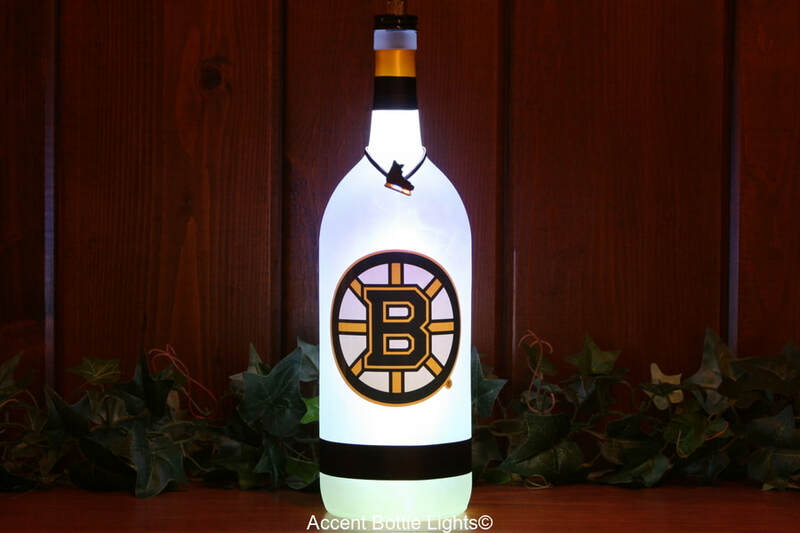 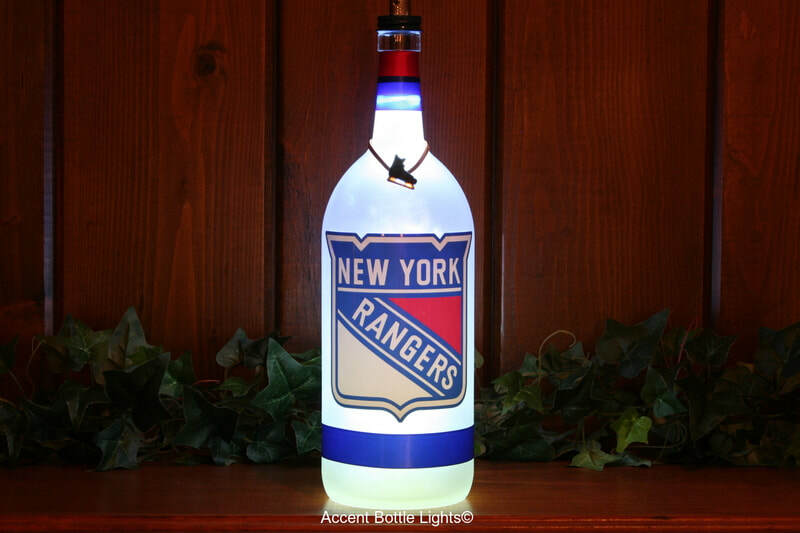 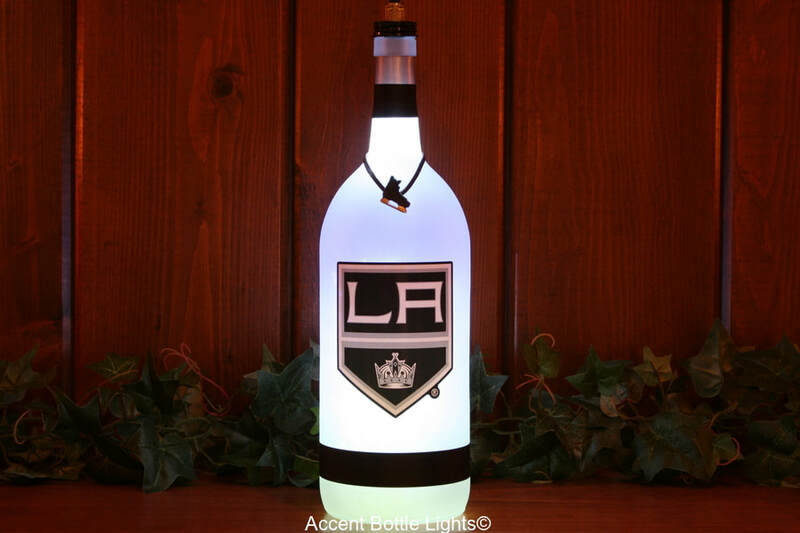 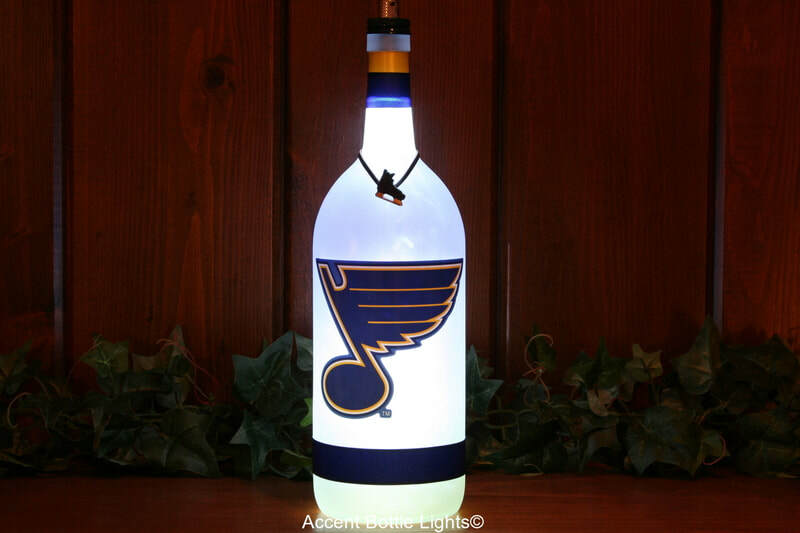 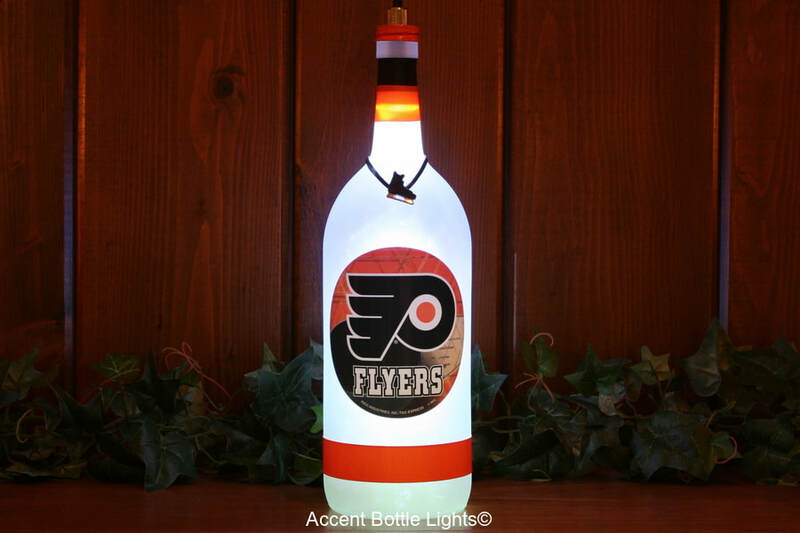 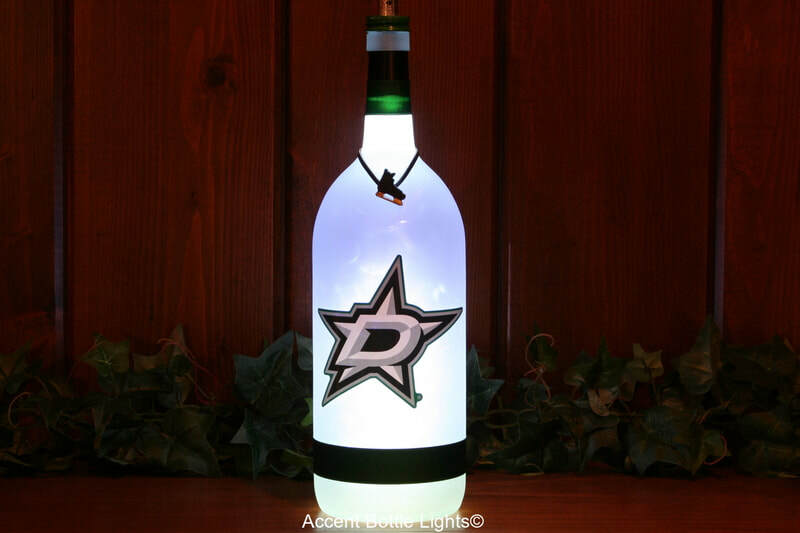 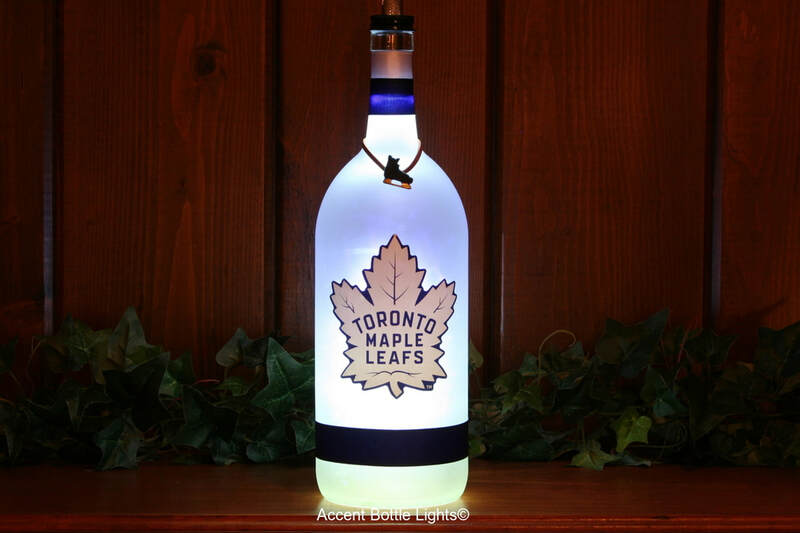 Man cave hockey team wine bottle lamps for hockey fans who have everything! 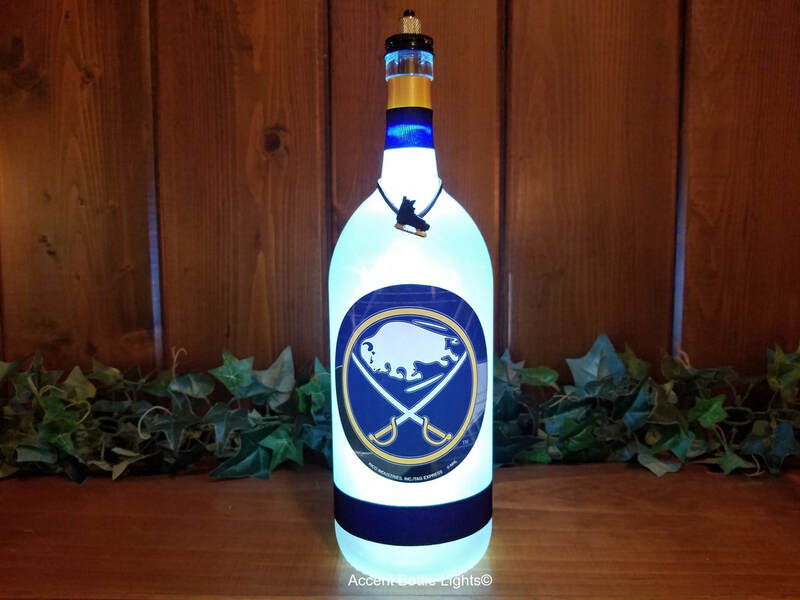 The perfect gift for men who want to showcase their favorite team in their man cave, bar, rec room, or at their big game hockey party! 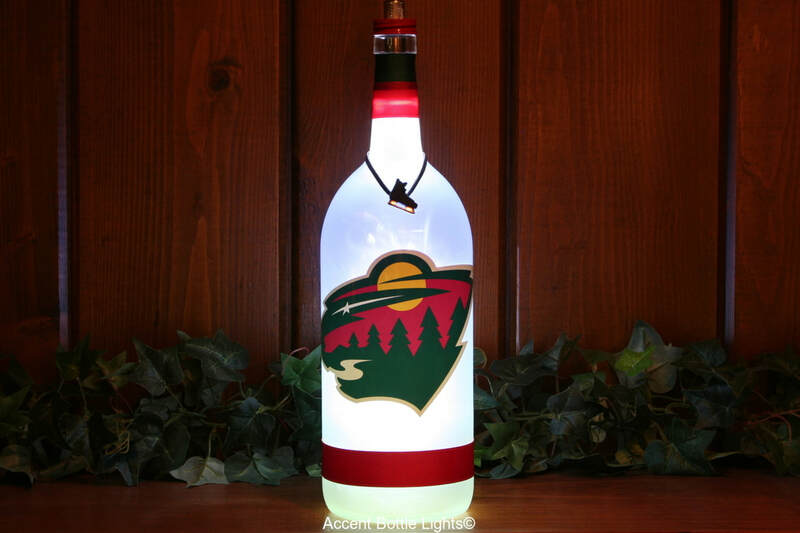 Don't see the hockey team you're looking for? 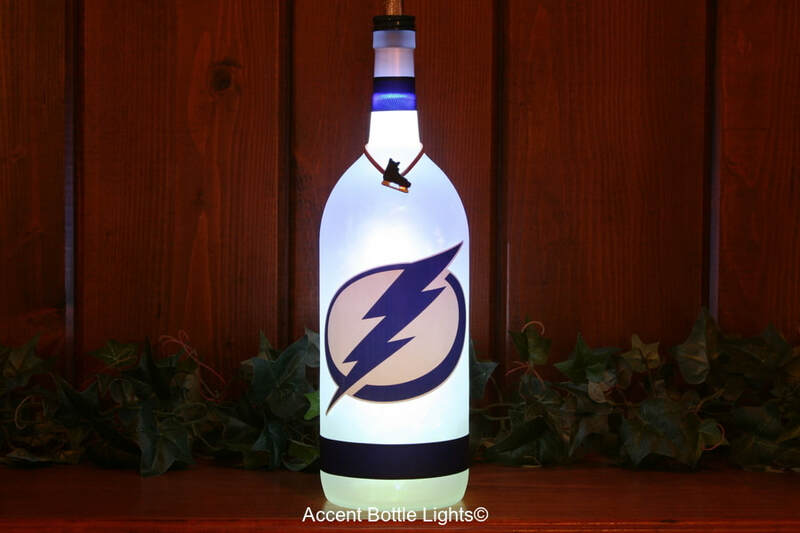 Call or email us.